Roy and Myra are scarecrows and they have seen a lot of changes in their profession since they started, Roy claims, well over 200 years ago. 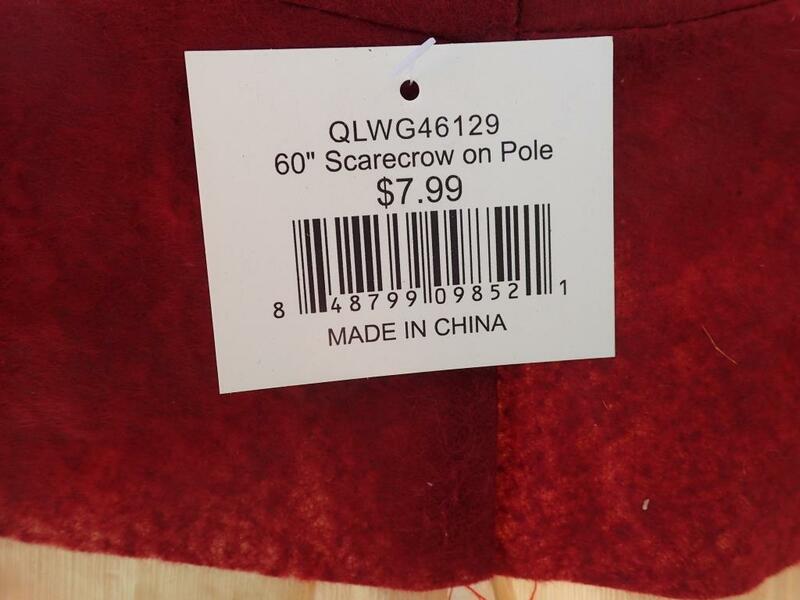 The life of a scarecrow has never been easy, but the demands of the job have changed. Bob and Myra, once proud guardians of the land and the bounty their masters wrought forth from it, now find themselves reclassified as seasonal decorations. Locally sourced and relatively organic, they still embody the best of Vermont agriculture, but it’s just not the same. 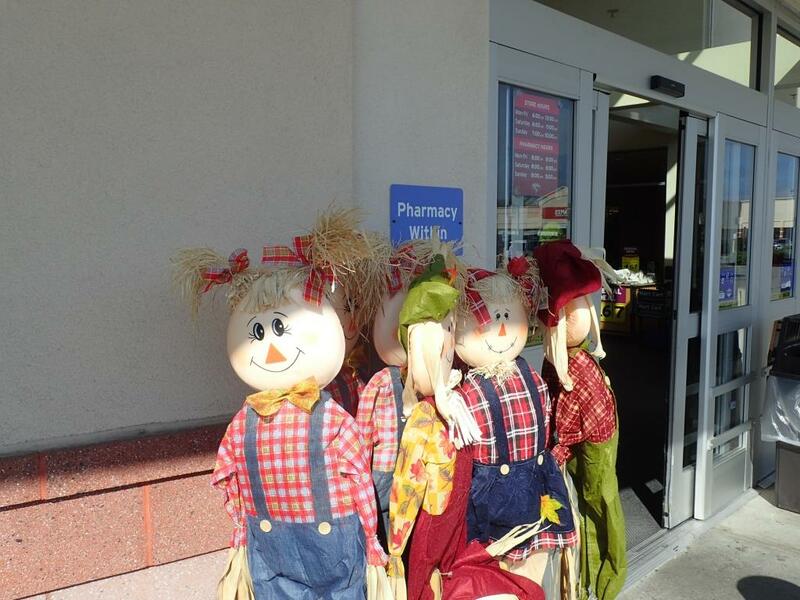 Saw a scarecrow… down at Trader Joe’s and his hair was perfect! At this point, Roy really did fall apart, partly because he was so upset but mostly because he was full of mouse nests. 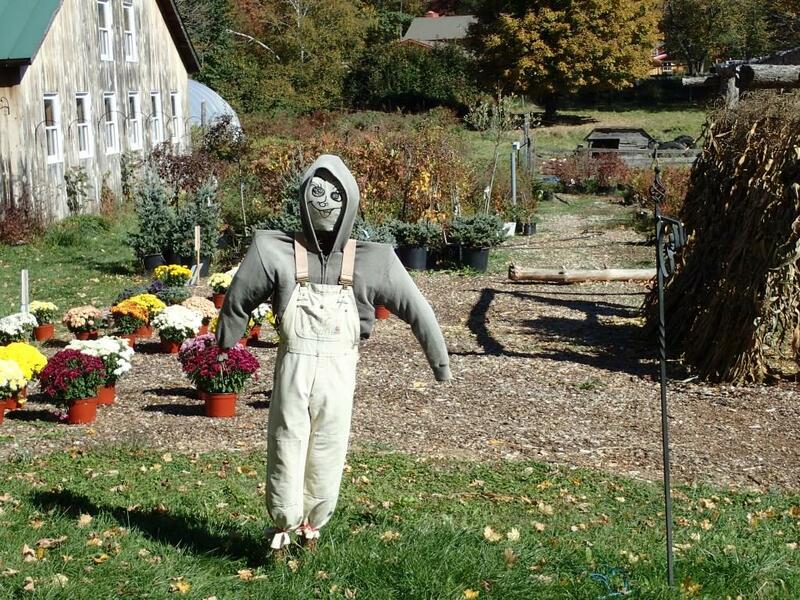 It was a devastating, season-ending injury, but Roy is reportedly resting comfortably after receiving treatment at a nearby scarecrow rehabilitation facility. 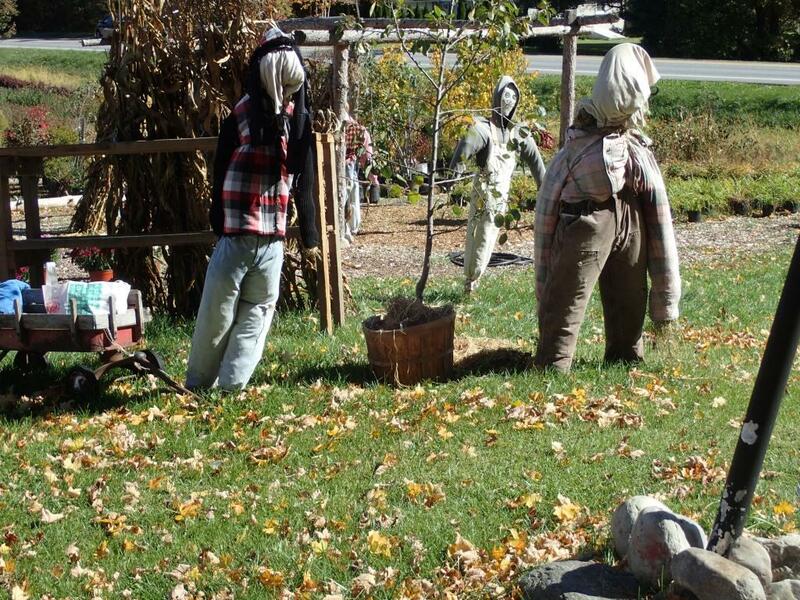 Roy and Myra fret for future generations of American scarecrows. 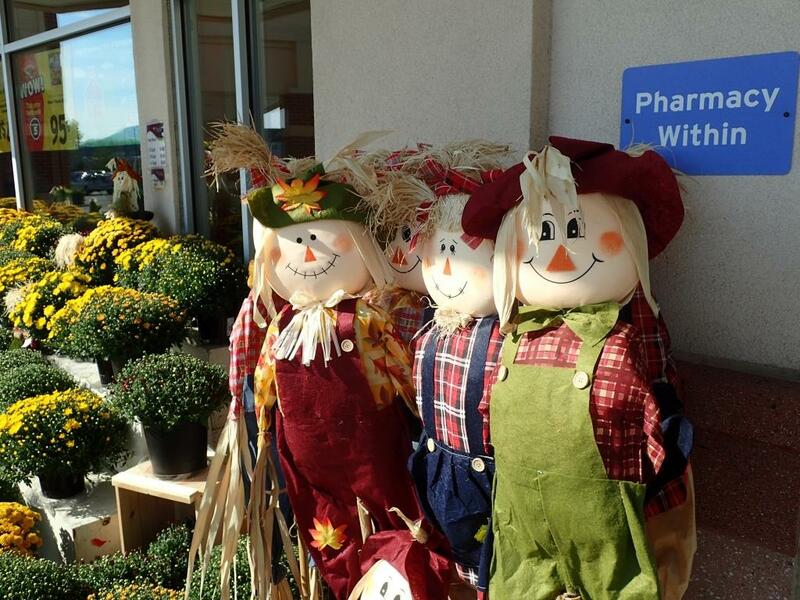 Once honorable field workers, they, and many just like them, have become pumpkin hucksters and flower sellers and they wonder what will become of the younger scarecrows. Chad has heard the traditional stories, passed down from scarecrow to scarecrow, of the way things used to be, and he’s not so sure the old ways are for him. When asked what he thought of the proliferation of foreign scarecrows, Chad was more forgiving and progressive than some of his elders, like Roy. 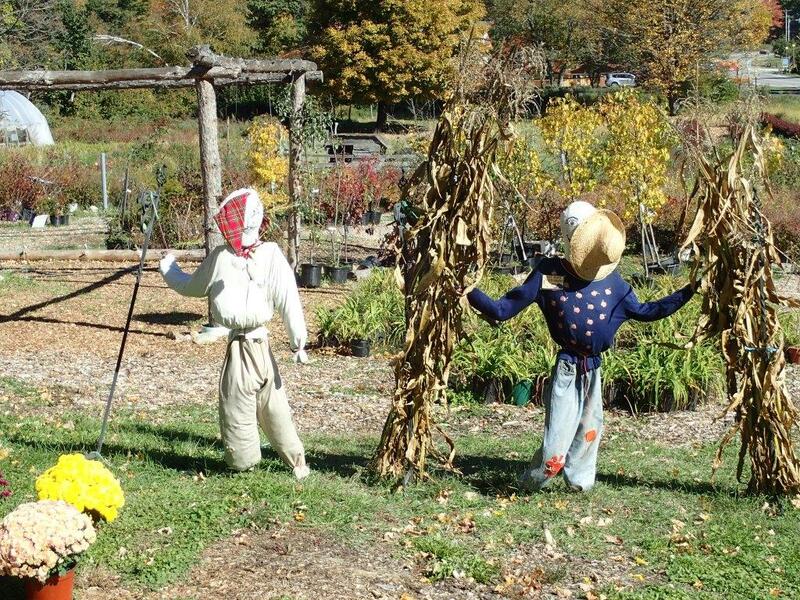 “Frank” and “Lumpy” just recently found out they are scarecrows. They are proud of their new-found profession and their enthusiasm shows. “We don’t need all them foreigners coming here and taking our jobs! It’s time to stand up and be counted!” yelled Frank. The arrival of yet another motor coach meant it was back to work for this small band of activists. Glad for the work they have, but fearful of losing out to foreign competition, they are desperate to be heard. As they posed for the cameras, we asked for some parting words. 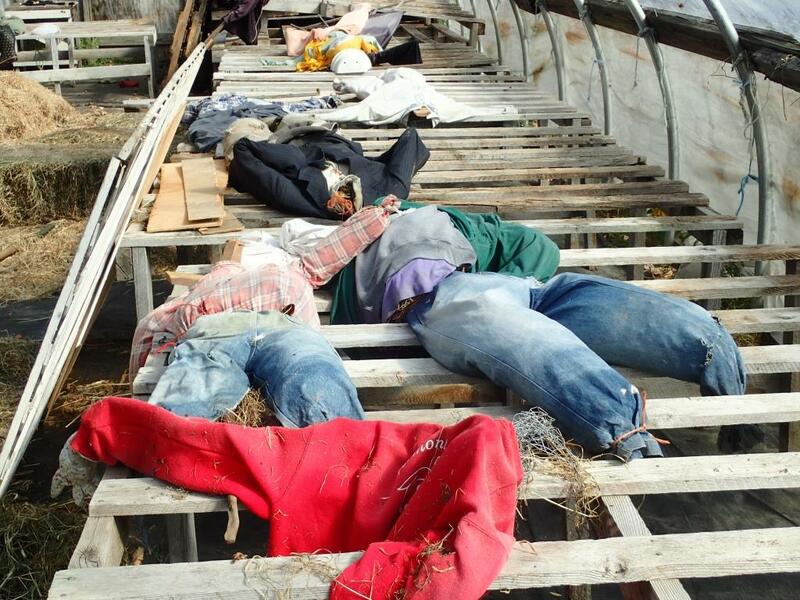 American scarecrows, just one more example of traditional workers losing their jobs to foreign invaders. Ya got a winnah heya! It’ s hard when the “system” is rigged.